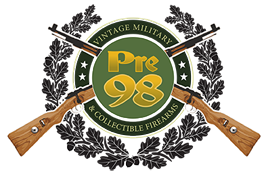 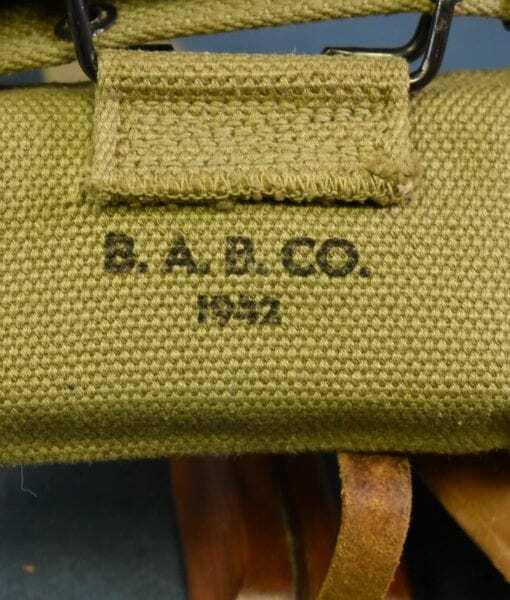 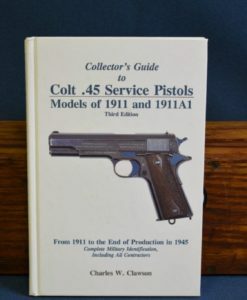 US WW2 COLT 1911A1 US ARMY PISTOL OCT, 1942 PRODUCTION….WB CARTOUCHED… MATCHING SLIDE….MINT CRISP….FULL RIG!!! 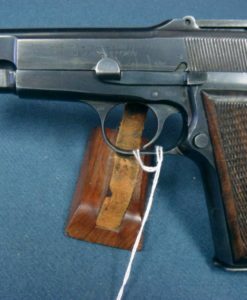 This is what everyone thinks of when they think of a WW2 Colt 1911a1 Pistol, indeed when Colt made their WW2 reproduction a few years back they copied it after an early 1942 production Waldemar Broberg inspected pistol. 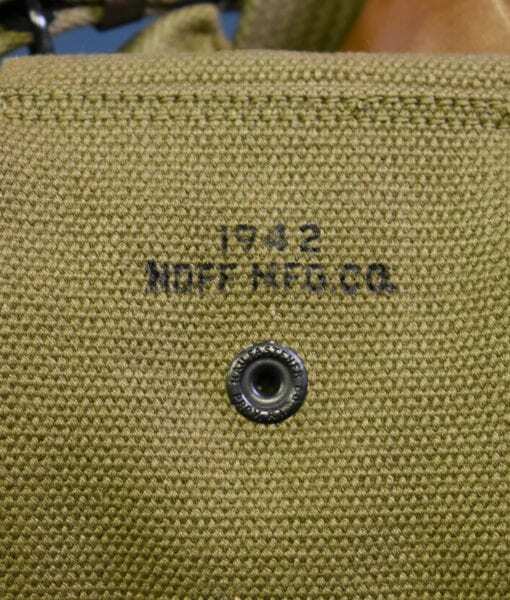 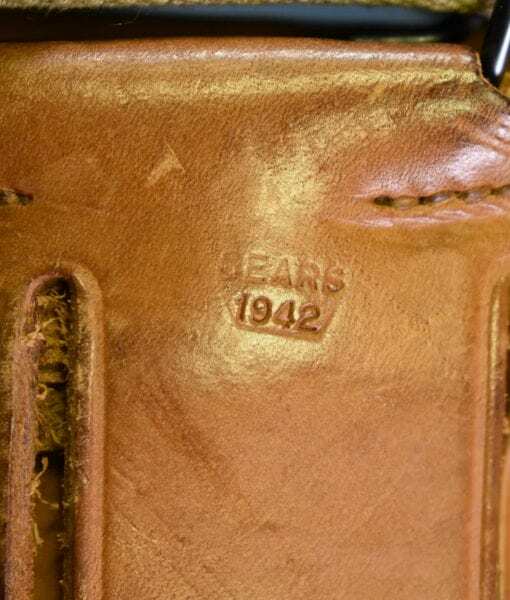 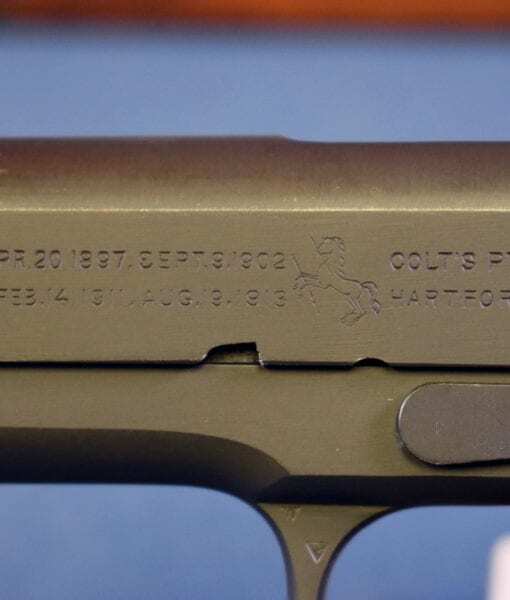 This pistol was shipped from Colt’s to Springfield Armory October, 1942. 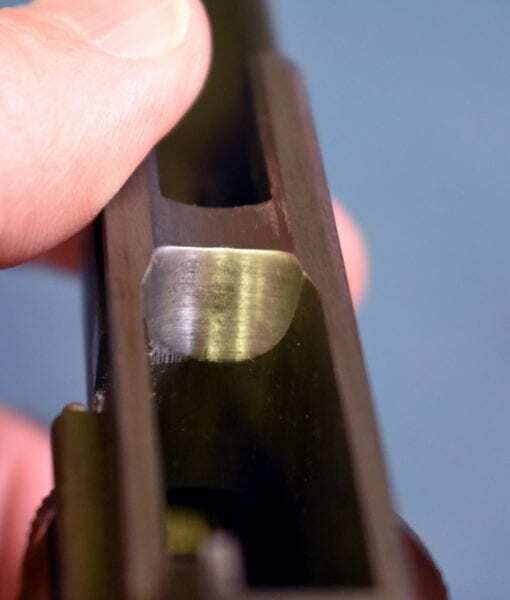 The pistol is in 98% very sharp mint crisp condition and the bore is mint. 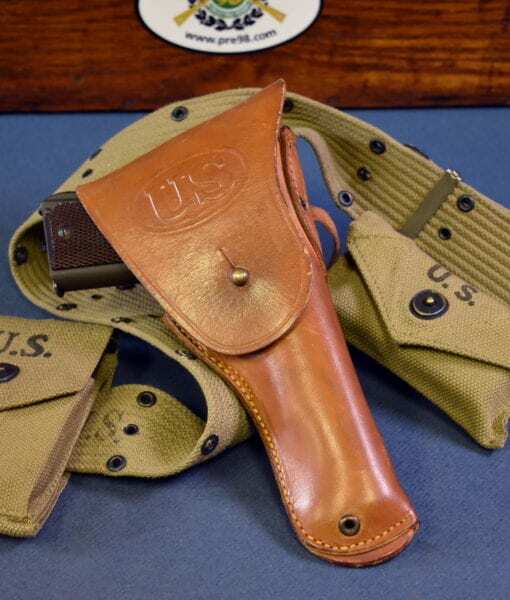 This is also fully rigged out with a mint complete rig with a Sears 1942 dated holster and a complete 1942 dated rig. 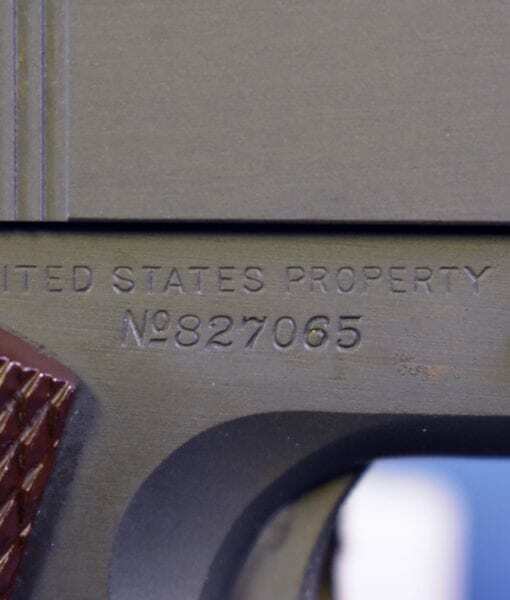 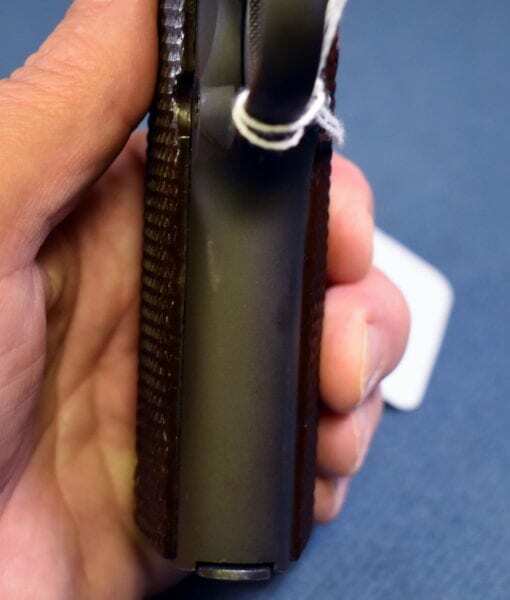 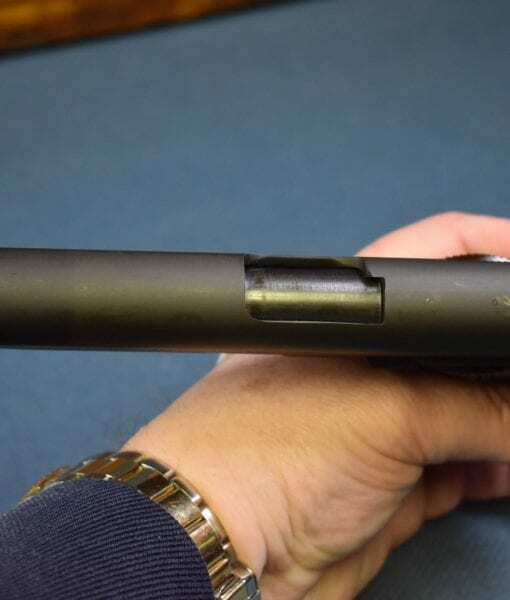 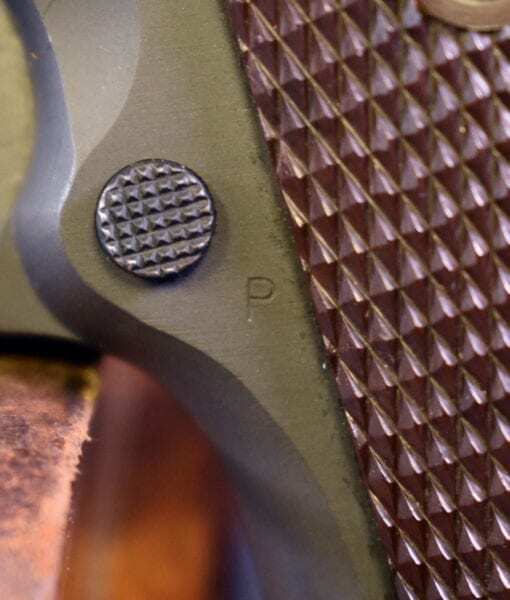 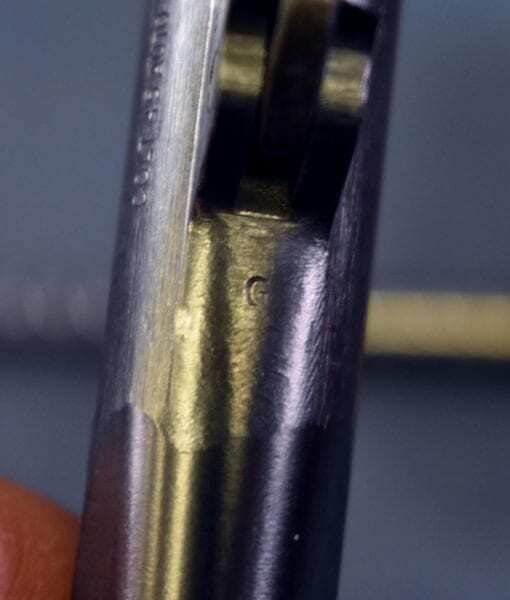 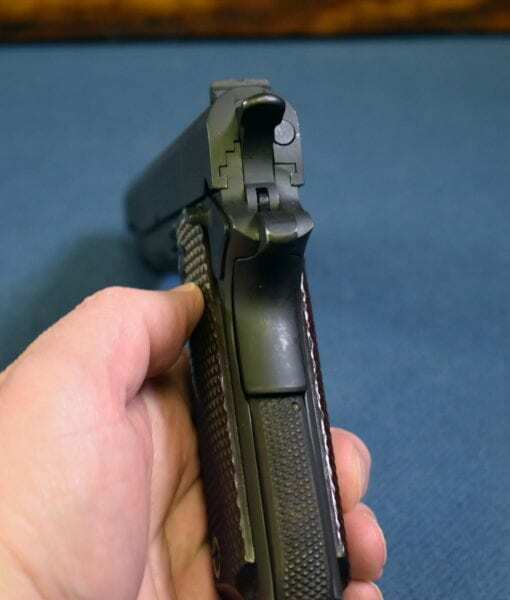 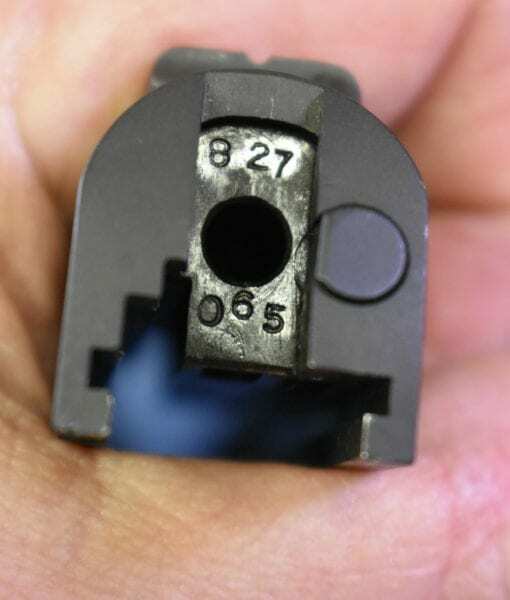 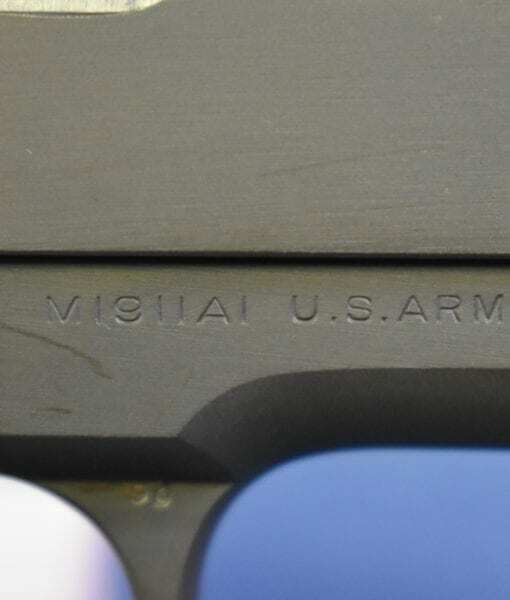 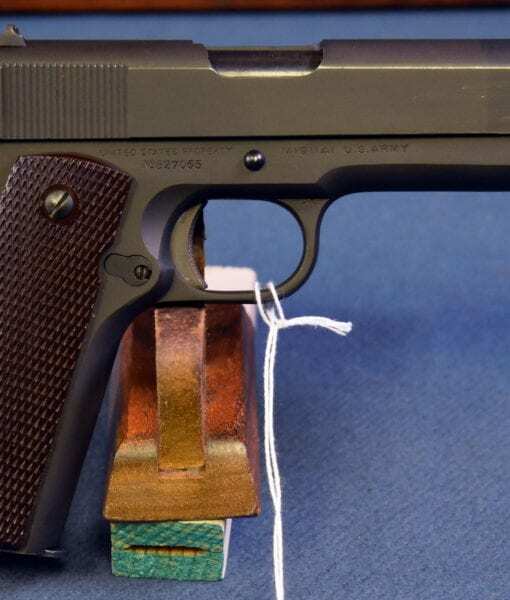 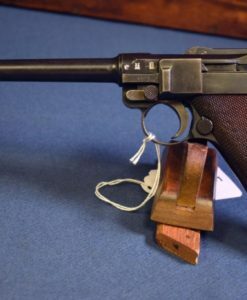 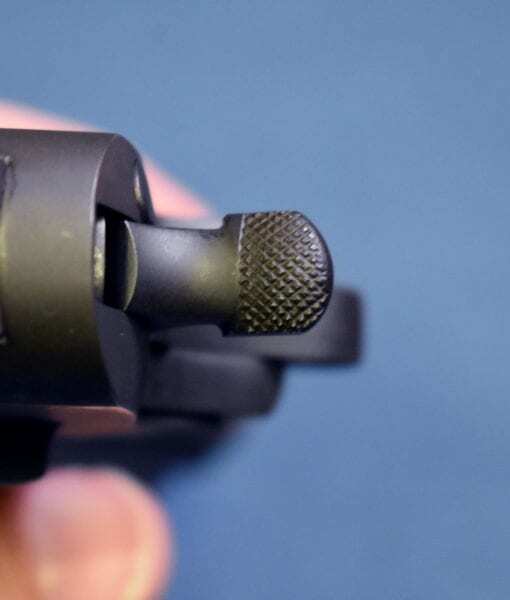 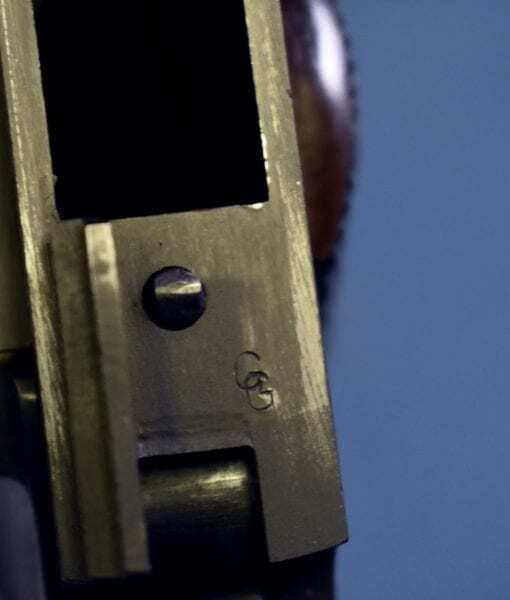 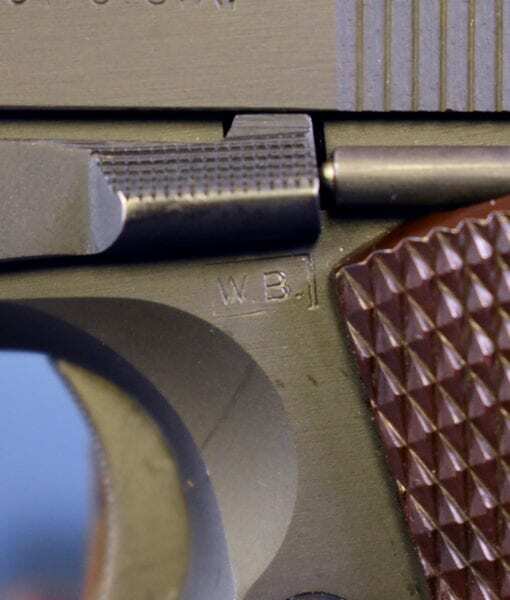 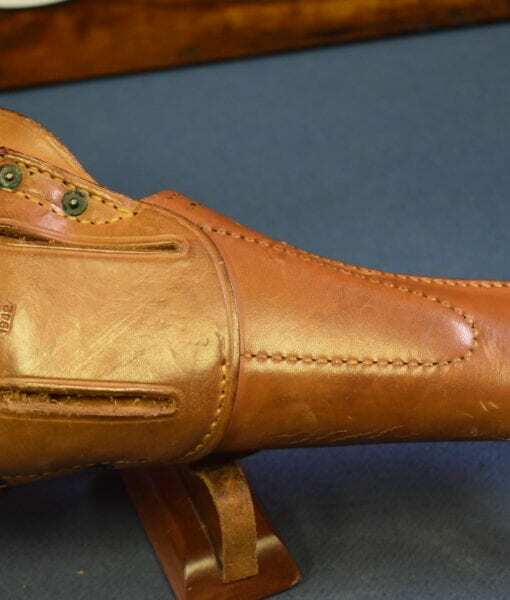 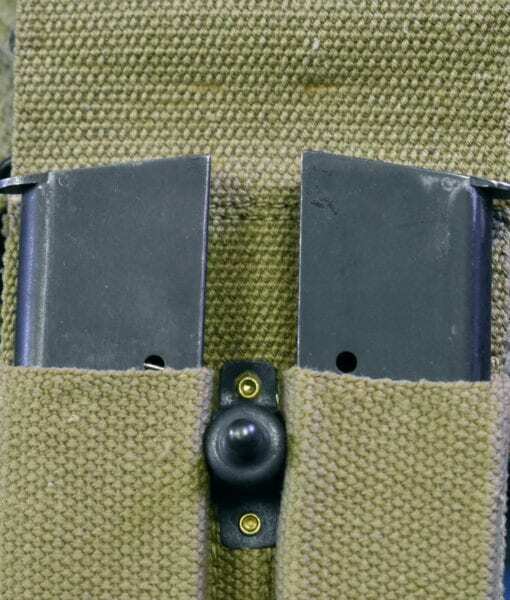 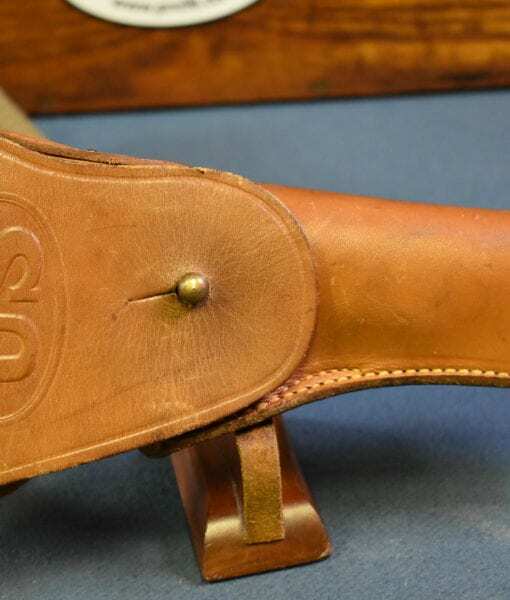 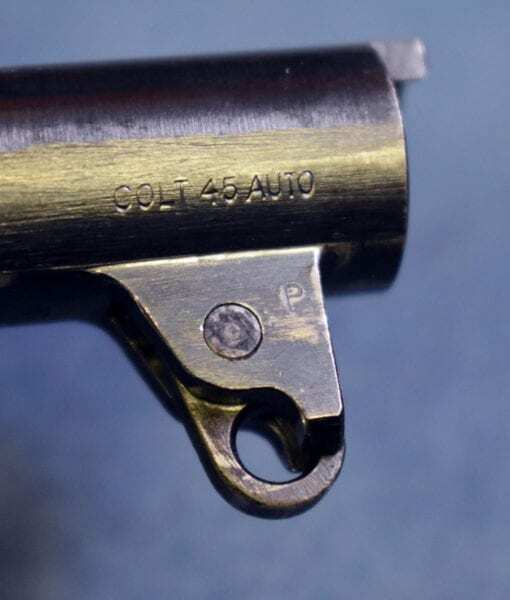 The pistol is 100% correct and factory original, the barrel is the correct “large G” marked barrel and the slide is numbered to match the frame. 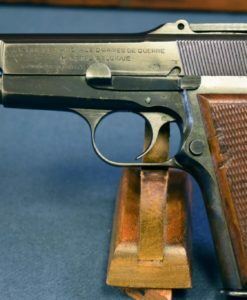 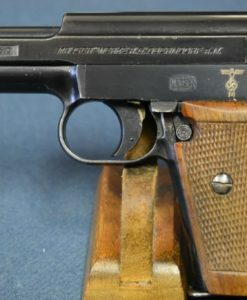 Everything on this pistol is original exactly as it left the factory. 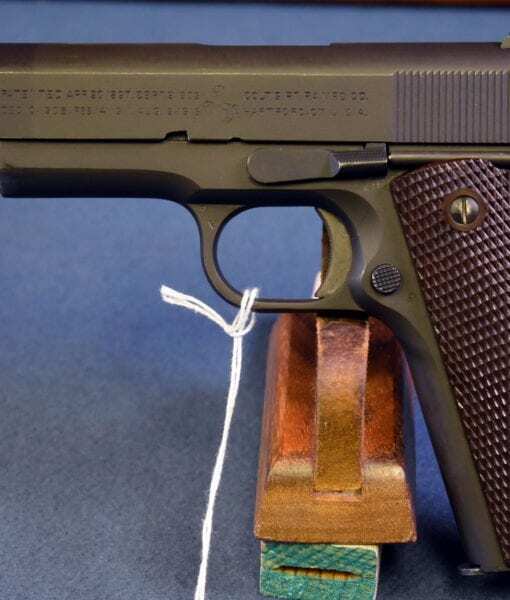 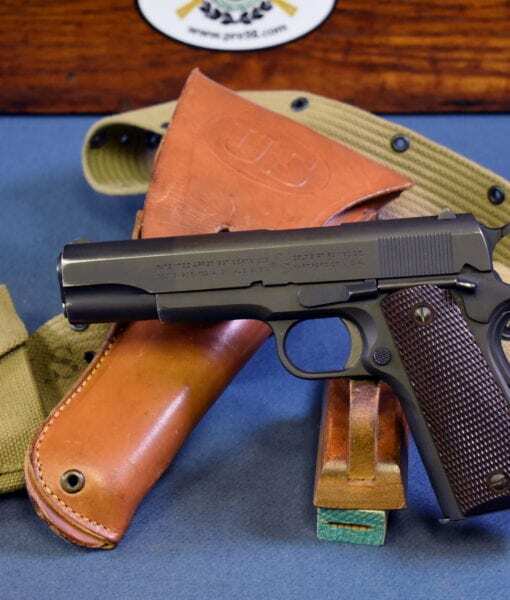 This pistol is an exceptional text book example of an Early wartime production Colt 1911a1. 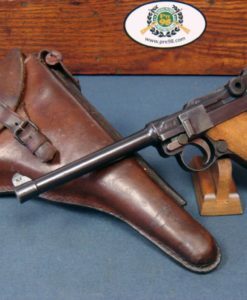 It is as you may well imagine, very tough to get an early war production gun in this exceptional condition, they were sent straight into the fight, may were lost and almost all that returned were re-worked and overhauled unlike this pristine example.